FILE - In this June 9, 2015 file photo, former House Speaker Dennis Hastert leaves the federal courthouse in Chicago. The federal judge in Dennis Hastert's hush-money case says he's appointing someone to review the former U.S. House speaker's medical records weeks after granting a request by defense attorneys to delay sentencing on grounds the 74-year-old man nearly died and remained in poor health. Judge Thomas Durkin in Chicago filed the order Wednesday, a day after meeting with attorneys behind closed doors. It says an independent expert will "report to the Court on the defendant's condition." It doesn't say if Durkin questioned any medical claims. 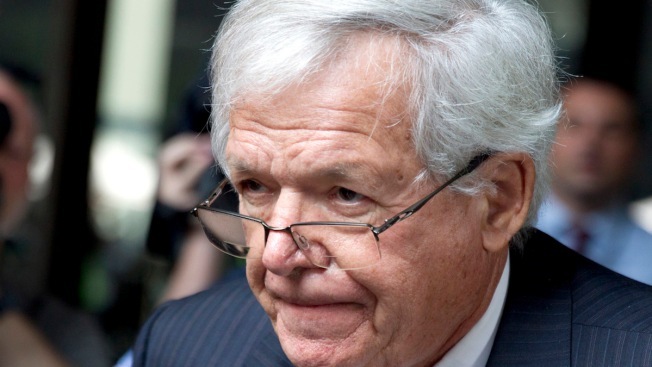 Hastert pleaded guilty to violating bank laws in seeking to pay $3.5 million in hush money. Durkin agreed in January to push sentencing from Feb. 29 to April 8 based on Hastert's health. Prosecutors didn't object, but said sentencing shouldn't be delayed indefinitely because victims deserve closure.